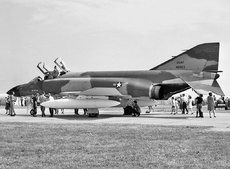 The Phantom II crashed in a snowstorm not long after take off. Captain Dean Paul Martin, ( son of the famous entertainer Dean Martin ) pilot. Captain Ramon Ortiz, weapon systems operator.